Zelle® has partnered with leading banks and credit unions across the U.S. to bring you a fast, safe and easy way to send money to friends and family. Money moves quickly – directly from bank account to bank account. 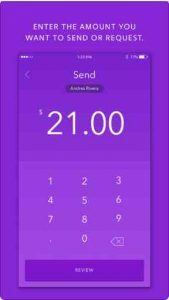 If your bank or credit union offers Zelle, you already have it in your mobile banking app or online banking – if they don’t, the Zelle app will make it easy for you to send money to enrolled Zelle users that already have access through their financial institution. 5. Confirm the amount and hit send. If they’re already enrolled with Zelle, they’ll typically get the money in minutes. If they aren’t, they will be notified and can follow a few simple steps to complete the payment.